It's actually pretty simple once you know where to look and who to talk to and then how to target those people or find those people. So, online, offline, or obviously when you separate things out, that's where you're going to be looking. You're either going to be looking offline in the real world or online in the digital world. And so I broke it down into five easy steps on how to find these people and it might not be apparently obvious to you where you can find them, but once I explain these things, it'll make a little bit more sense to you. So, first here, there's four types of people that myself and some of the other even biggest leaders in this industry like to target. And the reason for that is because they come with some pretty powerful skill sets. Now, the average person just doesn't come with … come to the table with when they start a network marketing business. And R stands for real estate agents. Now, those four professions will lead you to some of the highest caliber people you can possibly imagine when it comes to skill sets that translate well over to the network marketing profession. Now, it's not just enough to target people in the profession because well, just like any profession, you've got poor performers and you have high performers. So you want to start looking in these professions for people that are already very, very successful. You're going to find, in your local area, there's only a handful of real estate agents that are at the very, very top of the game. Meaning, you see them everywhere. You see them on billboards. You see them on … you hear them on radio ads. You see them online on online ads. Their face is everywhere. When people think real estate, they think of these people. Here in the Tri-cities, Washington, for example, I can think of a couple names: Bob Moon. Bob Moon, sorry. Vicki Monteagudo, right? These are names that are synonymous with real estate agents here in the Tri-Cities area. That's because A: They're powerful networkers, and we'll get to that in a minute, but B: They know how to advertise. They advertise and market and they are just masters at the game. So, look for threads of success in people's life. That's number two. TOS, Threads Of Success. If you start looking for threads of success in people's lives, in these professions, you're going to find winners for your team. Nurses, they're great because they already get their hands dirty doing the work the doctors do, but they receive a fraction of the pay, right? So they do all the dirty work for the doctors. The doctors come in and write the prescription. The nurses do all the manual labor and they get like one tenth of the pay. And the only reason is because the doctors know more and they have a degree at the end of the day that empowers them to operate in that profession. But the reason they get paid so much is because they've got the pedigree and there's laws in place that require you to get that pedigree in order to do those practices, right? And there's certain professions where you would want all the extra training because the skillset is complex. Anesthesiologists, for example, you would want them to be highly skilled, right? But when it comes to other professions in the medical industry that really aren't so dangerous, that you or I could probably figure it out in the span of a few hours, if we had some hands-on training, well, those require an advanced pedigree, even though the reality is you and I could perform those tasks. But nurses, when we're talking getting back to nurses, the reason they're so powerful and they're so … they take care of people. They have a big heart for people and they get a fraction of the pay of what they're worth. So, you can talk that way to people in those professions. Teachers, another great example. Ray Higdon, one of our business partners, he says, “Teach to teach to go the beach,” right? Teachers already come with that skill set. They already know how to train other people to train other people. That's how you get duplication. That's how you get duplication in your business. That's how you get people to train other people to do the deal. Teachers are great at that. So it doesn't really matter because they've got grit. They've got grit. There's a book up here on my book shelf called Grit. Great book by Angela Duckworth. Highly recommend it. Highly recommend it.. if you haven't read Grit, make sure you read Grit. So, military people, they have that … Real estate agents, they have … real estate agents, they have skill sets like sales experience, marketing experience. They know how to work well with people. Very powerful profession. So, look for threads of success in their lives. Number three: Advertising and marketing. You don't have to do a lot. You just have to find one method that works and then do it over and over and over again. 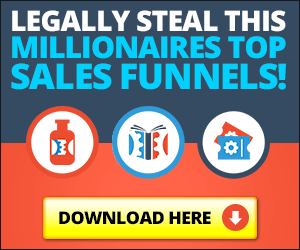 So, for example, if you figure out how to do Craig's List Ads and make them work and you generate enough leads to be productive in your business and make a part-time income, then you just keep replicating that. You don't go out and try to do all these new things. Just do what works. If you've figured out Facebook Ads, just do that. That's all you've got to do. Find one method that works for you. And just become the best at it. Don't try to become the best at everything because you never will. Try to become the best at one thing that gets you results, like leads or sales, if we're talking about product sales or you're selling and info product. And do what works, okay? So learn how to network and then learn how to flex the muscles in your network. All right? Networking is a very powerful skill. It's a very powerful skill to have and you want to learn how to network properly. Number five here, we have BNI and chamber. So BNI is called Business Networker International. Typically there's a local chapter in your area. You can sign up. It's an annual fee and you'll be able to network with other business owners and exchange … it's like a lead exchange and it's really great. It'll help you out quite a bit in your business. And then chamber. Chamber of Commerce, you're going to have one in your area. Same sort of deal. We just did a deal with the Chamber of Commerce here. Well, our market happens to be business owners. So, it's a really good, win win, right? So, join your Chamber of Commerce. You'll get a lot of business out of it. BNI, you should get a lot of leads of it. And become a great networker. Some ways you can do that, by the way, are things like live events. So, networking, you can do … go to live events. There's plenty of generic live events in the network marketing profession, things like Go Pro, ANMP, which is Association of Network Marketing Professionals, the Mastermind Event, which I've never been to, which I think goes on down in Florida. Ray Higdon holds some great events. Prospecting, recruiting summits, Top Earner Academy, and the list goes on and on. But I highly recommend you get to some of these events. Get outside you comfort zone and go to some of these events that are generic. Most of them have a no cross-recruiting policy, so you don't have to be worried or fearful about your down line getting taken away from you by some other leader or something like that. I never see that happening, okay? So, get outside your comfort zone. Go to generic network market … networking events. Get … plug into live events and maybe stretch it a little and go to live events outside of the network marketing industry. Go to marketing events. There's a social media marketing examiner, social media marketing examiner, they hold a social media marketing summit every year in, I think it's San Diego. You can go to something like that. But I'm going to have you become a social media marketing expert. You would never get that, typically inside the network marketing profession. Or if you did, it would probably be a watered down version of it because most of the people that would be teaching that from stage probably went to the summit outside of the network marketing profession, figured it out, paid money over there and brought it into the profession. You go outside of your profession. You get great ideas and bring them back into your profession. You become an expert at it. Everybody looks to you for advice because you gained your skill set somewhere else, when nobody knows where you gained it from. So, a lot of people have done that, by the way. It's a very, very powerful strategy. Go acquire new skills and do really well in your own field of endeavor. So, there's the five tips, five strategies for finding high caliber leaders for your organization; find leaders for your MLM. If you found value, share it. Reach out to me. Look forward to hearing your story.